Lance Thornton discussed his plan of putting Jellystone Park’s campground in this area. Lance Thornton discusses his plans for the Morgan Mount Vernon Farm and Mansion. Those on the tour loaded into side-by-side’s to explore the land site as Lance Thornton discussed his development plans. Lance Thornton gave a tour of the Morgan Mount Vernon Mansion. SOUTHSIDE — A well-known plot of land in Mason County has recently been purchased and plans to bring in over 400 jobs to the area are being made. Lance Thornton, of The Thornton Group & LandSu Land Development, Inc./co-chairman of Erie Automotive Aftermarket Holdings, shared he and his wife Susan have purchased, under contract, the Morgan Mount Vernon Farm and Mansion of Southside. Thornton explained the mansion is more than 11,000 sq. ft. and the farm has 500 acres of land. Thornton presented The Thornton Group & LandSu Land Development, Inc. proposition to county local banks and investment bank representatives Monday morning to bid out his $10,000,000 proposed project to bring one of the largest outdoor water park resorts and campground to Mason County — Yogi Bear’s Jellystone Park Camp and Resorts. He shared Jellystone Park could bring up to 2,000 visitors a day. Thornton explained he has been meeting with the Mason County Commission in closed meeting discussing early development plans. Thornton said, if all goes as planned, the project will break ground next Spring and it will take 18 months for completion of the first phase of the project. Phase one of the project will consist of the installation of the main water park and splash pad, explained Thornton, which is an 8 million dollar development. After completion of this phase, 200 campsites as well as 60-80 cabins will be available for use. Then, after the completion of phase two and three of the project, there will be a total of 500 RV campsites as well 100-120 cabins with rustic camping available, said Thornton. Along with the development of Jellystone Park, Thornton explained he also plans to bring in a Tanger Outlet Mall, a Sheetz gas station/truck stop, a hotel with an indoor water park, and an amphitheater. He added he and Susan have plans to restore the mansion and then use it as a county amenity as well. He explained 400 plus available jobs will be coming to Mason County after the completion of this total development project. Thornton commented no employee will be paid under 10 per hour. Thornton explained the largest pool of guests to Jellystone Park will be family units. Jim Westover, representative of Jellystone Park/vice president of product development and sales, explained these establishments are for destination campers. Thornton added the average stay for a family is two-and-a-half days and explained many of these guests will venture outside of the establishment bringing business into the community. He said the average camper at their campsite spends $63 a day and has the potential to bring in over $31,000 additional revenue to the community after three years. Thornton commented when he has been in discussion with the Mason County Commission he encouraged the county to have an occupancy tax on the cabins which has the potential to bring in an additional 1.5 million dollars and can go towards other county means. Commissioner Rick Handley said occupancy tax revenue typically goes to the Mason County Tourism & Welcome Center and Mason County EMS. Thornton explained he and Susan, who is the medical director for Mason County EMS and ER physician at Pleasant Valley Hospital, had been looking at opportunities to help Point Pleasant and bring in business. Thornton also extended a thank you to Harrison Rowe for being such a “great” ambassador of the project and if not for him, the project would not be where it is today. The next manner of business, Thornton commented, is the finalization and closing on the Morgan Mount Vernon Farm and Mansion and he will be meeting with representatives from Tanger Outlets and Sheetz to view the property. 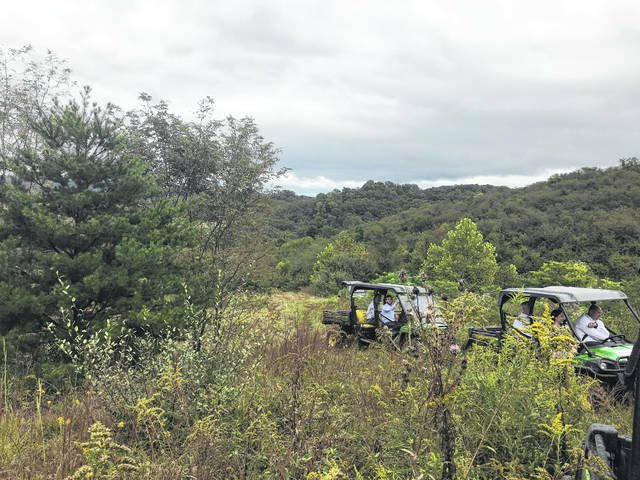 https://www.mydailysentinel.com/wp-content/uploads/sites/14/2018/09/web1_0911-1-.jpgLance Thornton discussed his plan of putting Jellystone Park’s campground in this area. 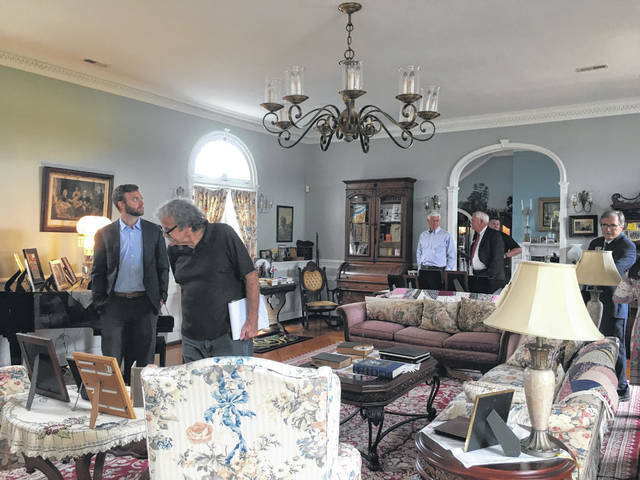 https://www.mydailysentinel.com/wp-content/uploads/sites/14/2018/09/web1_0911-3-.jpgLance Thornton discusses his plans for the Morgan Mount Vernon Farm and Mansion. 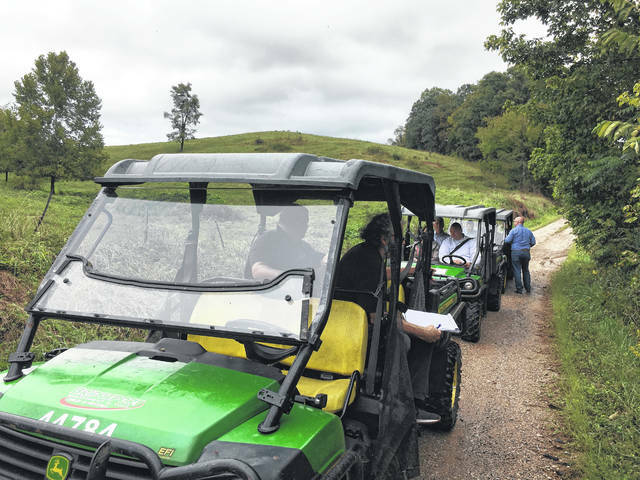 https://www.mydailysentinel.com/wp-content/uploads/sites/14/2018/09/web1_0911-4-.jpgThose on the tour loaded into side-by-side’s to explore the land site as Lance Thornton discussed his development plans. 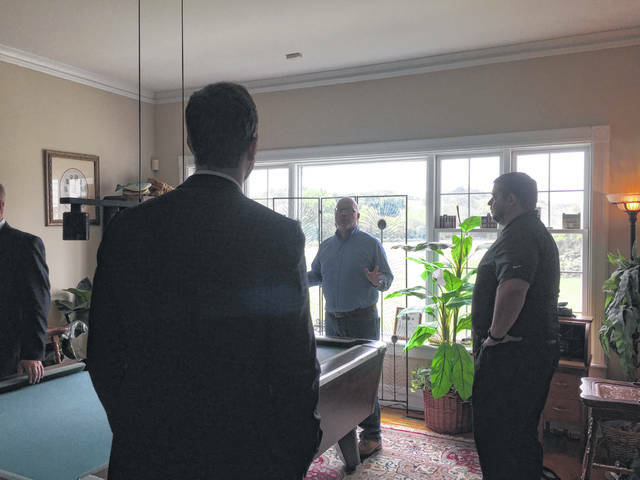 https://www.mydailysentinel.com/wp-content/uploads/sites/14/2018/09/web1_0911.Land4_.jpgLance Thornton gave a tour of the Morgan Mount Vernon Mansion.